Most of us are familiar with Nelsons Column – that impressive structure that towers high above Trafalgar Square, but nothing compares to seeing it in real life on a trip to London. 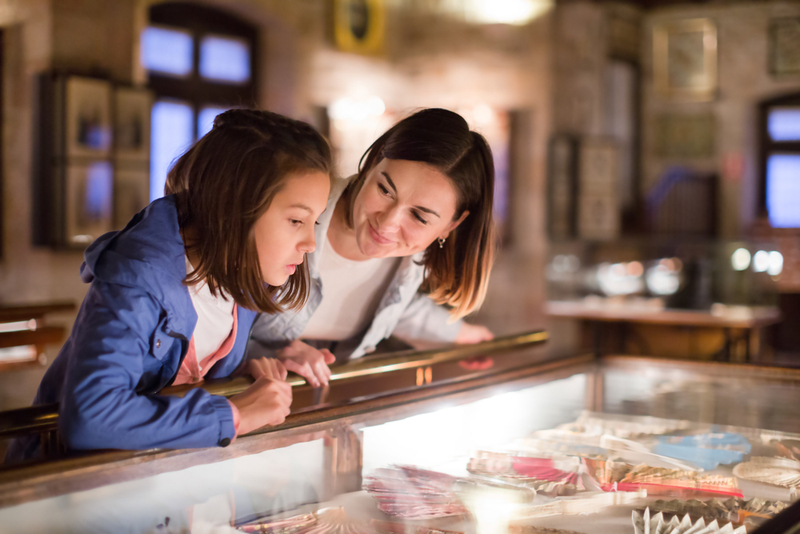 It’s also a great idea to learn more about the monument before your visit, so you can get the maximum benefit through greater understanding. The Nelson element is a sandstone statue of the famous admiral that stands at 5.5 metres tall. Of course, it wouldn’t be anywhere near as imposing if it wasn’t so far off the ground. That is where the column comes in. This solid Dartmoor granite structure measures a whopping 46 metres high, elevating Nelson to wonderful heights. It has been standing proud over London since 1843. Originally designed by William Railton and Sir Edwin Landseer, it cost £47,000 to build. When it was refurbished in 2006, the cost to carry out the work ran to £420,000 – considerably more than the initial outlay. Interestingly, it was during the renovations that the monument was found to be 4.4 metres shorter than first thought. It’s official height from the bottom of the pedestal to the very top of the admiral’s hat is now recognised at 51.6 metres tall. When Trafalgar Square was designed it was always intended to be a ceremonial and cultural space, with statues of important figures from history providing the focal points. Nelson was chosen as one such figure, with his column commemorating his death at the Battle of Trafalgar in 1805. A group of gentry, including peers and MPs totalling 121 people had formed to ensure a monument to the great military man was constructed and Nelson’s Column was what resulted. If it’s not too insensitive to mention an eye (Nelson lost one of his in Corsica), then those keen to understand the details will be keen to know about the positioning of the monument. He has been set up to look towards the Admiralty to the south and the Mall on his right. Each of his ships is remembered atop a flagpole along this historic road. Look down at the base of the monument to gain more insight into its significance. The square pedestal has been loaded with symbolic content to demonstrate the importance of Nelson as a historic figure. Each of the four sides of it is a bronze panel that has been cast from a captured gun. They represent his victories at the battles of Cape St Vincent, the Nile, Copenhagen and Trafalgar. Each one was created by a different sculptor, with Musgrave Watson, William F Woodington, John Ternouth and John Edward Carew taking on the jobs respectively. Another element to note is the four lions, resplendent symbols of Britain as a nation. These guardians were not originally present when the column was erected, but came some 25 years later in 1867. They add an extra level of grandeur to its base. Admiral Horatio Nelson served in the Royal Navy between 1771 and 1805 and distinguished himself due to his inspirational leadership and advanced knowledge of military strategy. His tactics were often considered unusual but led to many astounding naval victories throughout the Napoleonic Wars. He has gone down in history for being shot and killed at the Battle of Trafalgar, but despite his own death, his forces still went on to win a decisive victory. His body was returned to England so it could be given a state funeral. Being located in Trafalgar Square, which is a public space, there are no restrictions on when you can visit Nelson’s Column. What’s even better is that it is also free to do so. It’s not possible to go up the column, although various famous figures and activists have scaled its outside over the years. There are a number of amenities close by, including public toilets and cafes, as well as other interesting attractions to visit. 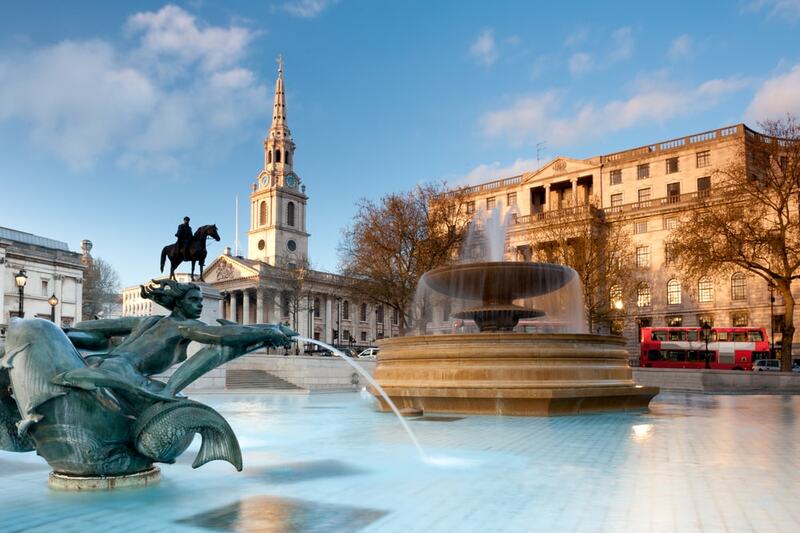 After admiring Nelsons Column, be sure to linger in Trafalgar Square long enough to take in its other sites. Among these are four plinths, three of which are occupied by statues of famous figures from history. The final plinth, which is located in the north-west corner of the square famously stood empty for years. Since the beginning of the 21st century, specially commissioned artworks have been installed upon it on a temporary basis. The 11th piece to go on display is a seven-metre high sculpture of a thumbs up, known as Really Good, and created by David Shrigley. Also in the vicinity of Trafalgar Square are the National Gallery and National Portrait Gallery, St Martin-in-the-Fields Church, which overlook the historic space. Within five minutes walk lie Admiralty Arch, The Cenotaph and The Institute for Contemporary Arts. 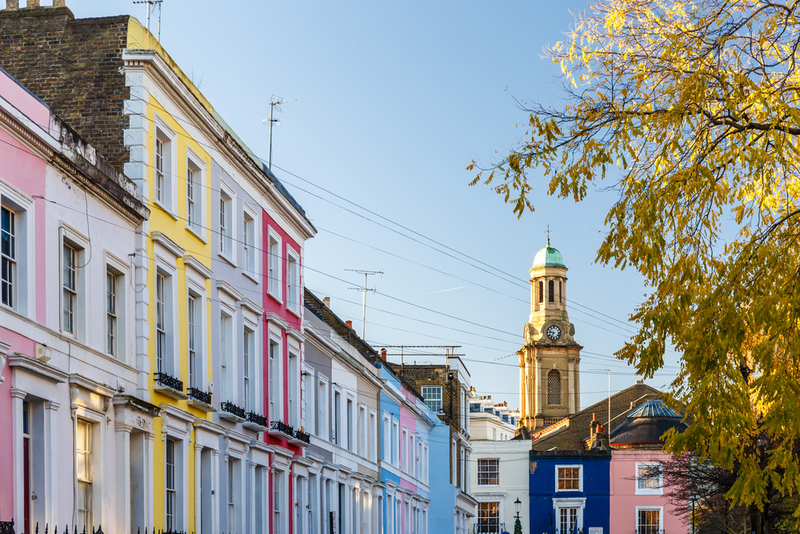 All of these make good additions to a visit to see Nelson’s Column and a well-rounded cultural day trip. Finding your way to Nelson’s Column from anywhere in London is relatively easy. It’s also not difficult to access the monument via public transport. 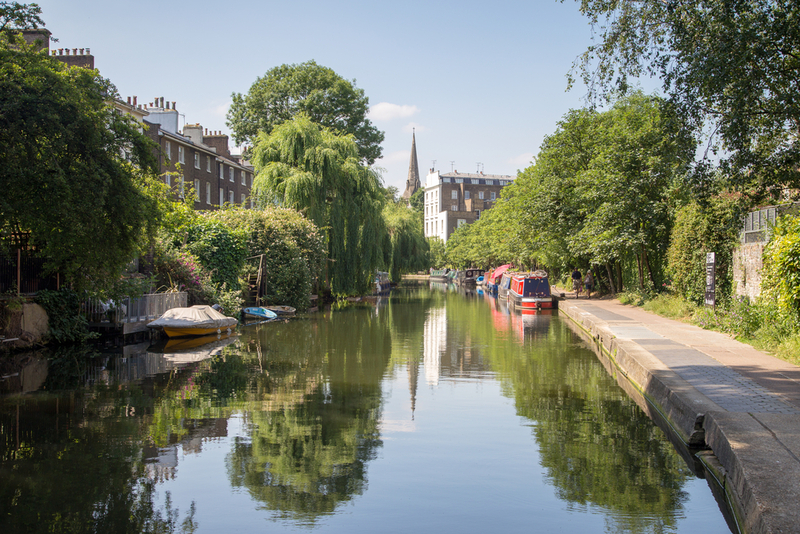 The nearest Tube station is Charing Cross, which is literally one minute’s walk away. Charing Cross Overland station is slightly further, but still within walking distance. A Corinthian style of column has been used to give the monument a classical style. The statue itself of Nelson was sculpted by Edward Baily, who had come second in the competition to design the tribute to the admiral. 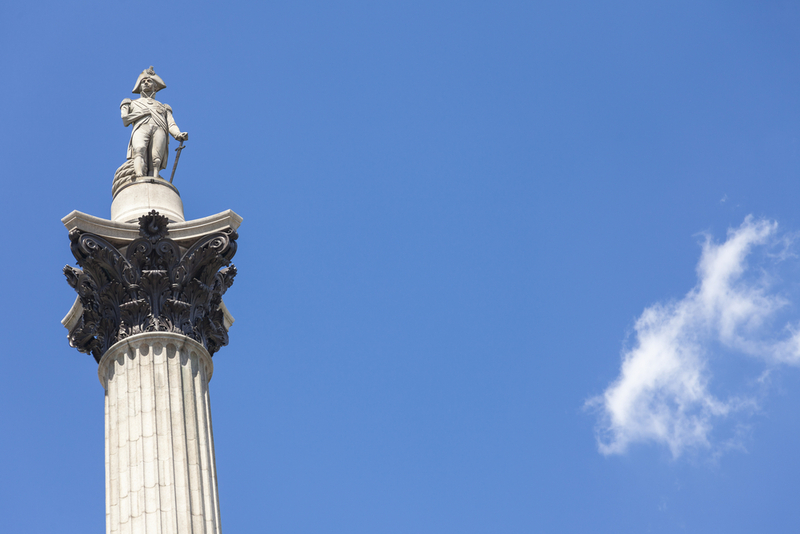 Share the post "Everything You Ever Wanted to Know About Nelsons Column"